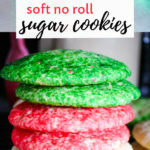 These soft classic no roll sugar cookies are from an easy old fashioned recipe found in my grandma’s recipe box. One of the best cookies because they give you that sugar cookie flavor without the work of cutting them out. I am so excited to share with you one of my childhood favorites. 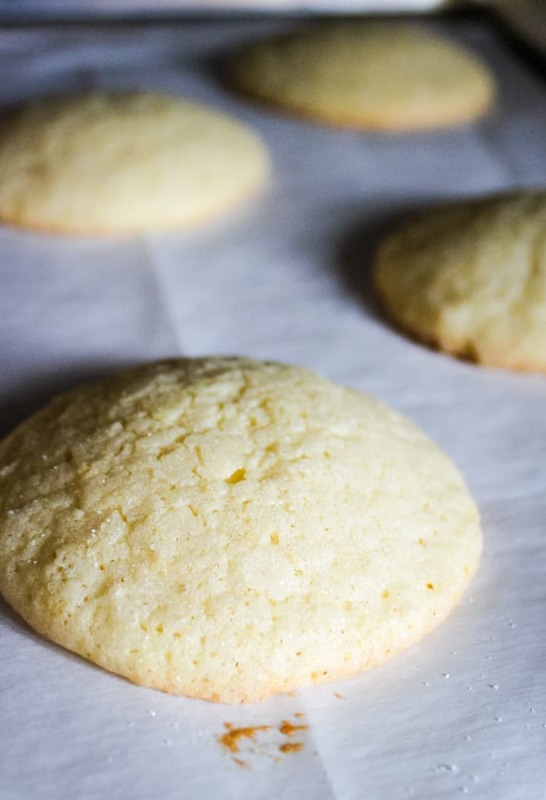 My great-grandma Fern made the best easy no roll sugar cookie recipe. It’s what I remember most about her. We would walk into her home and she would be sitting in her chair watching Little House on the Prairie while quilting. Quilting by hand, mind you. But atop her kitchen table was also a beautiful glass cookie jar. That jar was always filled with sugar cookies. We would run into the house and stop first, always, at the cookie jar. We’d grab a cookie and then run into the front room where we would find her. It’s been years since I’ve even thought about those cookies. My mom now has her beautiful cookie jar. 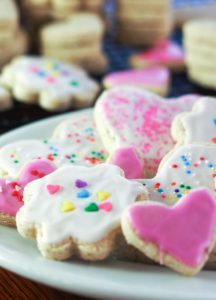 And while I absolutely love the traditional sugar cookie recipe and the easy sugar cookie frosting it goes with, it’s a lot of work. So when my mom found my great grandma’s recipe last week, I had to try it. 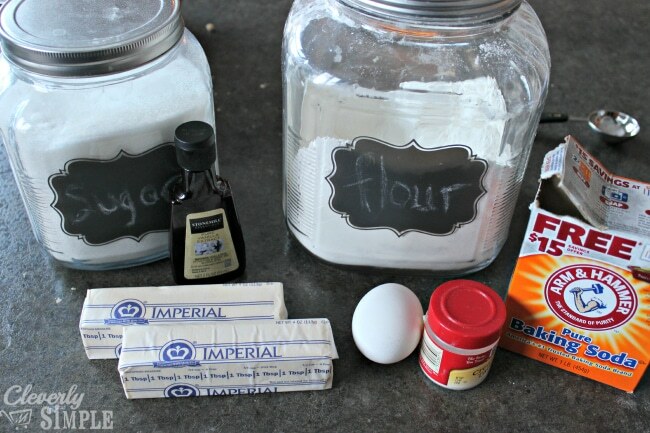 This seriously is the THE BEST easy sugar cookie recipe. There is no rolling out the dough or cutting them out. And while that can sometimes be fun, these are easy for a reason. 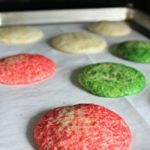 They pack in all the deliciousness of the traditional sugar cookie but they are so much easier and faster to make! Make sure you chill the dough in between each batch. The cookies are so much easier to roll in sugar (and they’ll bake better) if they stay chilled. Use parchment paper or silicone baking mats. The sugar will stick to the pan if you don’t. Don’t have colored sugar? You can use regular sugar! And when I took that first bite after making them, I was transported back to my great-grandma’s house. The familiar taste was there. I just love how family recipes will bring back memories. And now I’m excited to share this cookie recipe with you to make memories with your family. Step 1: Mix the flour, cream of tarter and baking soda together. Set aside. Step 2: Cream the sugar and margarine. Add your egg and mix well. Add the vanilla. Step 3: Mix in the dry ingredients that you previously mixed together. Chill the dough in the refrigerator for at least 1 hour. Step 4: Now for the fun part! Roll the dough into balls. I use this cookie scoop to get the exact measurement every time. And then roll those balls into sugar. 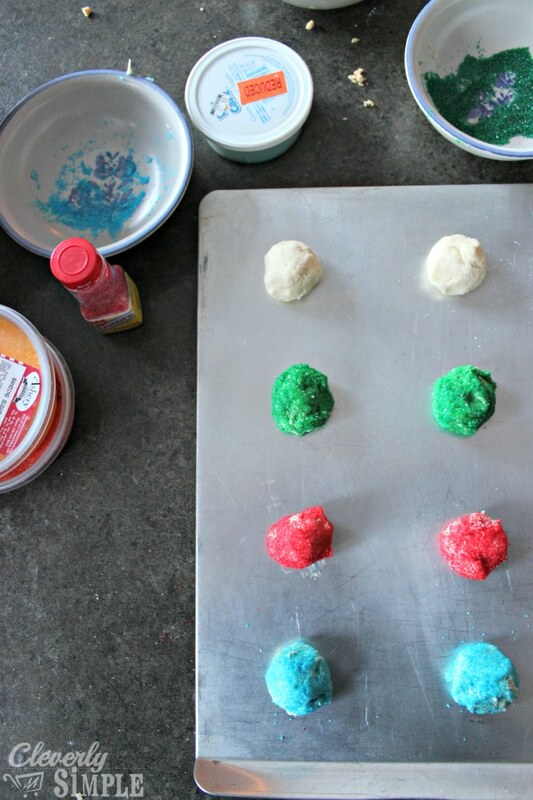 You can roll your dough into regular sugar. And it’s delicious. 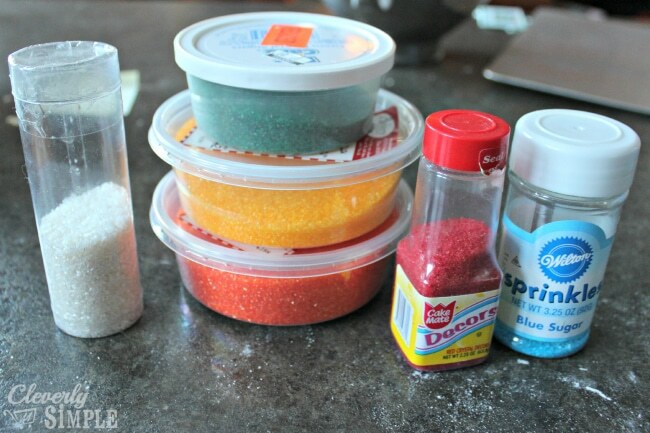 However, if you’re wanting to make some fun grab some colored sugar. Step 5: Bake for 10 minutes in a preheated 375 degrees Fahrenheit oven. 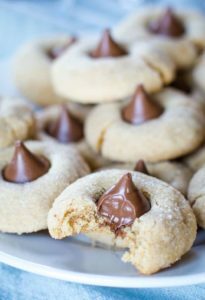 These cookies are soft and fluffy with a delicious crisp from the sugar. 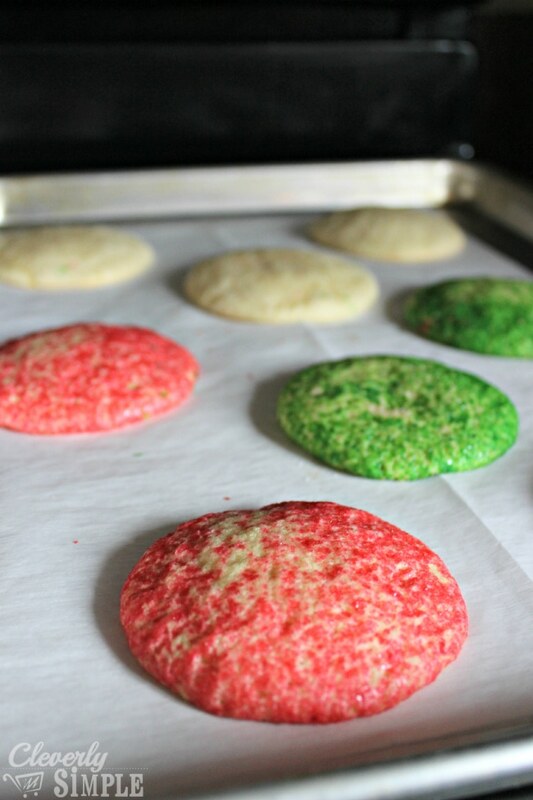 They really are the best easy sugar cookie recipe! 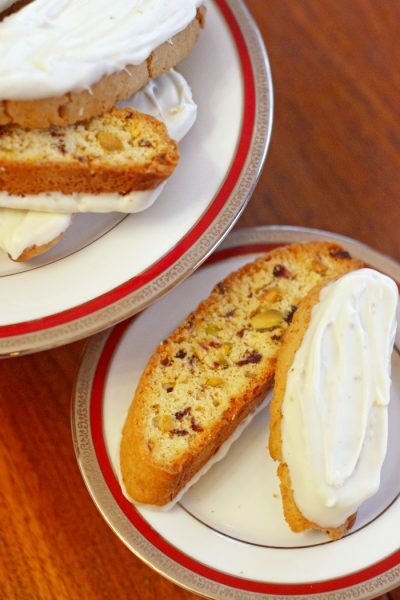 As I mentioned this recipe really brought back memories! 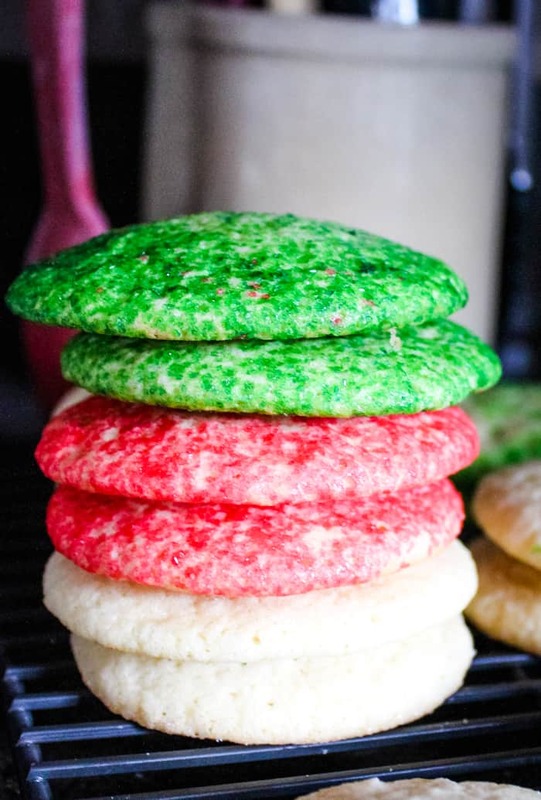 These soft, classic sugar cookies are seriously the easiest to make. I can’t wait for you to try them! Enjoy! 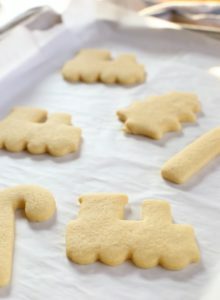 Easy classic no roll sugar cookies that are simple to make. Combine flour, cream of tarter and baking soda. Set aside. Cream sugar and margarine. Add egg and mix well. Add the vanilla. Add the dry ingredients to the mixer with the wet ingredients. Mix well. Chill the dough for at least one hour. 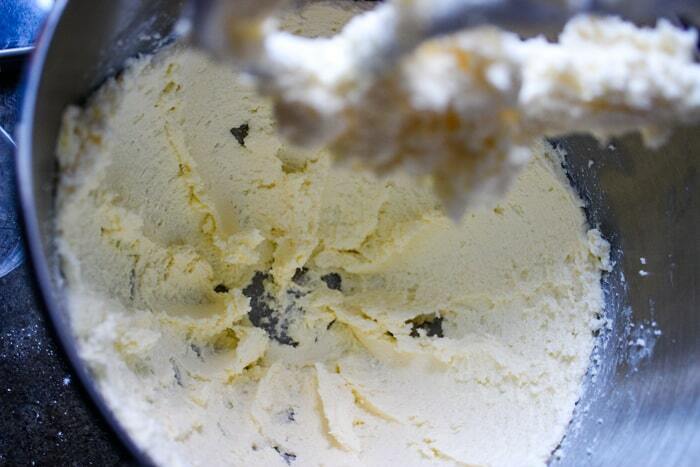 Using a cookie scoop, scoop a small amount of dough into your hand and roll the dough. Roll the ball of dough around in the sugar until fully covered. Bake in a 375˚ F oven for 10 minutes. Use parchment paper or silicon baking mats otherwise the cookies will stick to the pan because of the sugar. 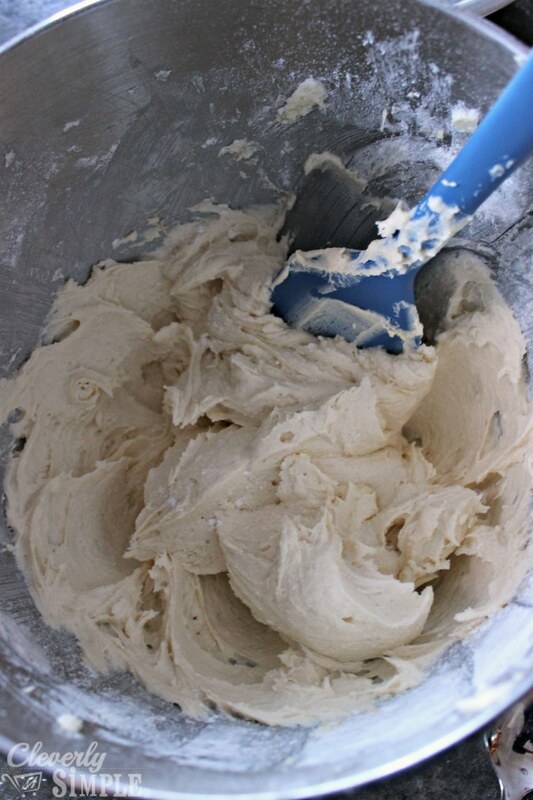 Keep the dough chilled by placing it in the refrigerator in between batches. I just made these with butter. Awesome. First oven batch did not flatten out as much. Second batch in oven I flatten them before I baked. Even more awesome. I did put the sugar on them. Reminds me of my childhood. Thanks so much for recipe. Will be using this for years to come. Would these work just as well if not even better with butter?